At Economy Drain Cleaning we understand that having drain and sewer line issues is never convenient. Call us today at 440-963-9275 to schedule an appointment immediately! 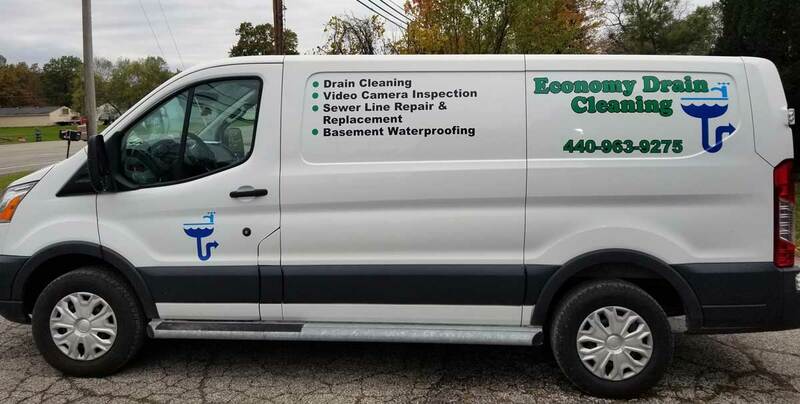 Economy Drain Cleaning is a drain and sewer line service and repair company located in Vermilion, Ohio serving Lorain and Erie Counties. Our services include drain cleaning, video camera inspections, sewer line repair and replacement, basement waterproofing and much more. We have the experience to handle all your drain cleaning or sewer line needs and provide superior service and fair pricing. If you have a home, business or rental property, we provide drain cleaning service for floor drains, catch basins, main lines, sinks, dishwashers, toilets, showers, down spouts & much more. Set up a regular maintenance schedule for your drains to keep your home or business running smoothly. We do more than just clean your drains. We offer several sewer services – such as main sewer line repair, main sewer line replacement and main sewer line cleaning. Do you have root intrusion or think your sewer line is broken? Before doing costly repairs, be sure they are needed. A camera line inspection has become one of the most efficient ways to quickly and accurately determine the source of the problem in your pipes.